Michael is a Lake Norman's Realtor/Appraiser Market Value Expert. He is also a certified Lake Norman luxury market specialist. He has been in the real estate industry for the past 32 years. 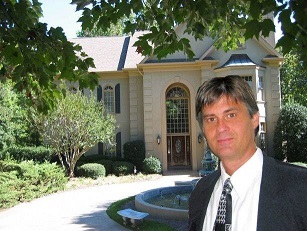 As licensed agent, residential appraiser, investor and real estate consultant, he has the experience and knowledge of the local Lake Norman/Charlotte market place to negotiate the best contract price for home buyers as well as ensuring home sellers get top dollar for their real estate. Michael Green of Carlyle Properties takes pride in providing clients the highest level of service. In his free time he enjoys sailing on the lake, music and travel. Kim has a bachelor's degree in Advertising and a minor in Photography and has been in Internet Marketing for the past 20 years. She also has a web design certification and is an expert in Search Engine Optimization. 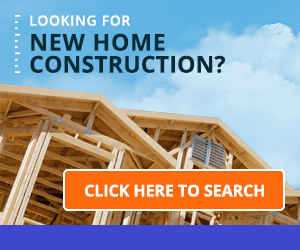 She will make sure your home be seen on our website, www.lakenormanhomeforsale.com as it is placed at the top of Google for local real estate search keywords. She also has great graphic and real estate photography skills and can create newspaper and magazine ads as well as fliers and home booklets to advertise your property. Your home will also be advertised on Zillow, Trulia, Realtor.com, Craigslist etc. Adam is the Branch Manager for the CrossCountry Mortgage, Inc. Charlotte, NC branch. CrossCountry Mortgage, Inc. is a nationwide Mortgage Lender that is licensed in 50 States. He has been working in the Mortgage Industry since 2005 and have achieved great success as VP of Operations, Director of Sales, Team Leader, Project Manager, Analyst, Branch Manager, and Loan Officer. He is excellent at getting home owners approved for various types of mortgages while offering very competitive rates. Adam offers a Free consultation to all of our clients. Dee Dee has been serving the Lake Norman area since 2001 with residential and commercial properties. As a house stage specialist, she will compliment your client's home with an avenue to a successful sale; providing consultation and contacts for clean up, clear up, and cosmetic improvement. Dee Dee creates the ambiance with home furniture, accessories and color to close the sale. She is an excellent home stager and will help us make your home look it's best to sell at it's highest price in the shortest time. Lance is the Broker in Charge of the family owned Carlyle Properties which has been specializing in high end luxury homes in Lake Norman for the past 14 years. The Carlyle brand is recognized as a leader in the Lake Norman home market. Carlyle properties has sold more than 340 million dollars in real estate in the Lake Norman area.